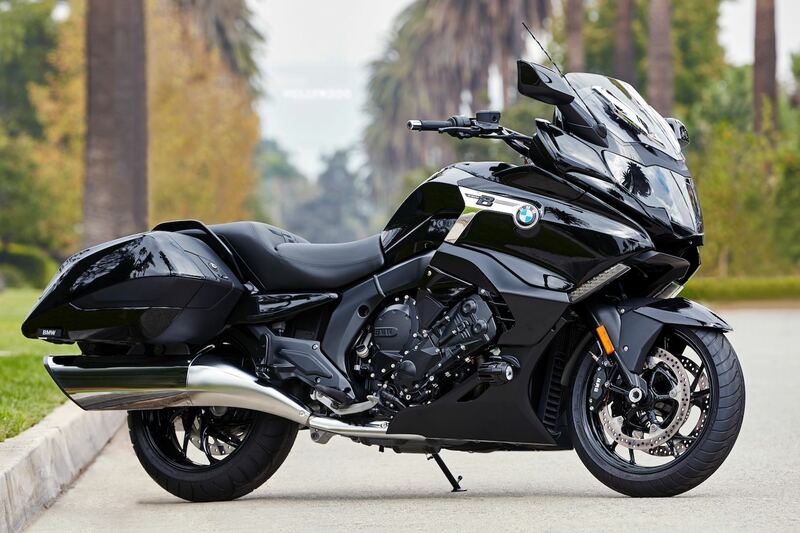 The newest bagger on the market, the 2018 BMW K 1600 B certainly approaches the genre from a different perspective. Powered by a relatively high-revving inline-6 motor, the K 1600 B scorches the pavement with 160 horsepower. While maximum peak torque of 129 ft/lbs doesn’t arrive until 5250 rpm, there’s an incredible 90 ft/lbs of muscle being created at just 1500 rpm. The seat height is a bit higher than the typical bagger, and it has more cornering clearance than most. With a seven-gallon fuel tank and an estimated 41 mpg, you should be able to ride 250 miles between fill-ups, so the 2018 BMW K 1600 B is ready for long rides. There are two power maps—Road/Dynamic and Rain—and BMW offers a wide range of options, including Hill Start Control, and upgraded infotainment system, and quickshifter. Read our BMW K 1600 B Review.